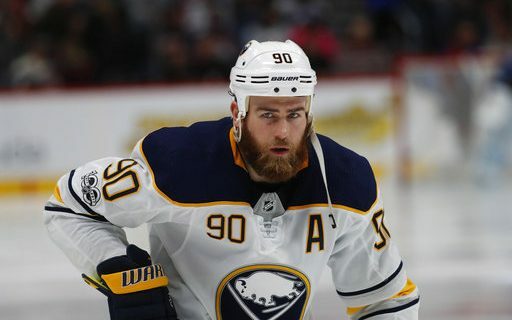 This week, the Sabres made their long-anticipated trade of Ryan O’Reilly. His big contract, his lack of goal scoring and his dressing room presence were cited as reasons for the deal. But sports humorist Jeff Wozer has discovered some previously unreported reasons for sending O’Reily to St. Louis. • Never shared or liked any of Phil Housley’s Facebook posts. • Team feared bad press if public discovered part of the Buffalo Billion went towards O’Reilly’s beard trimming products. • No choice after 26 stolen Reddy Bikeshare bicycles found behind his garage. • After dining at the Pegula daughters’ Healthy Scratch restaurant he only gave it one star on Yelp. • During road trips team grew tired of always apologizing to hotels for beard hair found in breakfast bars. • Team feared he’d take a voluntary buyout to write for the Athletic. • O’Reilly miffed team failed to support his desire to become first forward in league history to win the Vezina trophy. • Management hopes trade will make O’Reilly forget the $50 owed to him for winning in-house pool for picking the correct 2018 Buffalo Ice Boom removal date. • Not only did he lose his love for the game but also his love for Raymond. Jeff is always discovering interesting reasons behind what the Sabres are doing, including why they don’t draft Canadian junior players and unknown facts about new goalie Carter Hutton.